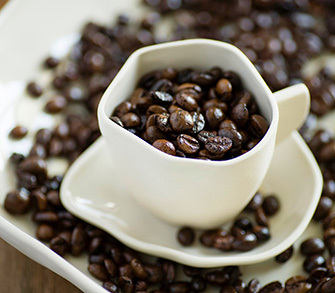 Vietnam is currently the world’s second coffee producing country next to Brazil. Especially, the city Buôn Ma Thuột, located in the central highlands of Vietnam, is famous as the regional “capital of coffee” as it is blessed with the perfect location and climate for growing fragrant, flavorful and bitter coffee beans. 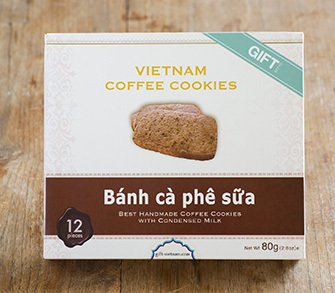 VIETNAM COFFEE COOKIES is made in the image of the Vietnamese beloved coffee “cà phê sữa”, which has an unforgettably rich taste with sweetened condensed milk. 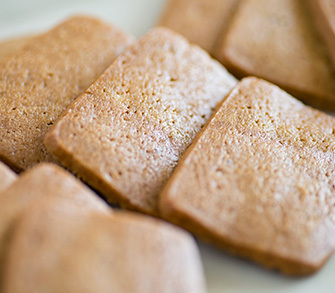 Mixed with the coffee beans from Buôn Ma Thuột and the condensed milk for cà phê sữa, VIETNAM COFFEE COOKIES is a perfect marriage of bitterness and sweetness, giving a rich refined taste. A good choice for adults! We offer variety of high quality sweets products including VIETNAM COFFEE COOKIES, a good souvenir from Vietnam, so that our customers can proudly choose them as gifts for various occasions such as corporate events or private parties. GIFT Co., Ltd. is a company for planning, manufacturing and sales of sweets in Ho Chi Min, Vietnam. In pursuit of safety, security and delights of our sweets, we are fully committed to offering quality and reliable products. Please contact us if you need any sweets for souvenirs or gifts at any event or party. We offer the best product depending on your request. We sincerely hope that our sweets products would bring a happy moment for you. Copyright © GIFT Co.,Ltd All Rights Reserved.